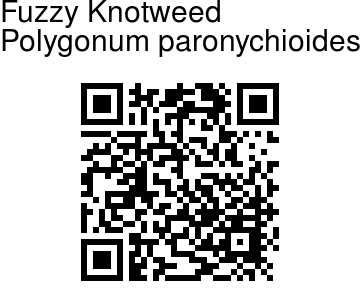 Fuzzy Knotweed is a low, spreading, rather matter plant, with linear leaves. It has prominent silvery papery stipules, almost as long as the leaves. Leaves are fleshy, with a fine point, grooved above, mostly 5-8 mm long, hairless. Silvery stipules of young shoots conceal both leaves and the stem. 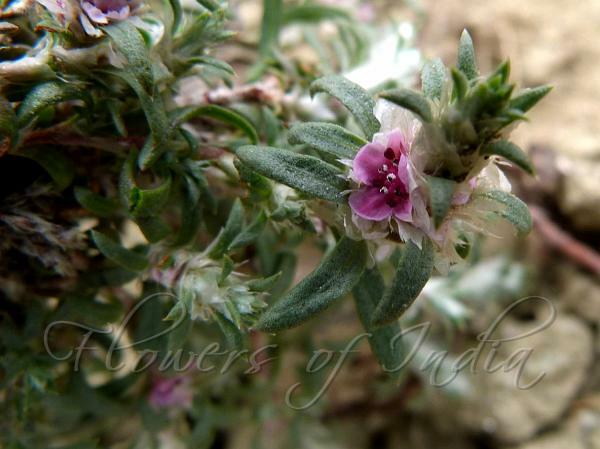 Flowers are tiny, bright pink, about 3 mm across, hidden amongst the stipules and leaves. Stem is much branched, white or red-brown, spreading. Fuzzy Knotweed is found in the Himalayas, from Afghanistan to Himachal Pradesh, at altitudes of 2700-4300 m. Flowering: June-September. Photographed at Lahaul & Chatadu, Himachal Pradesh.